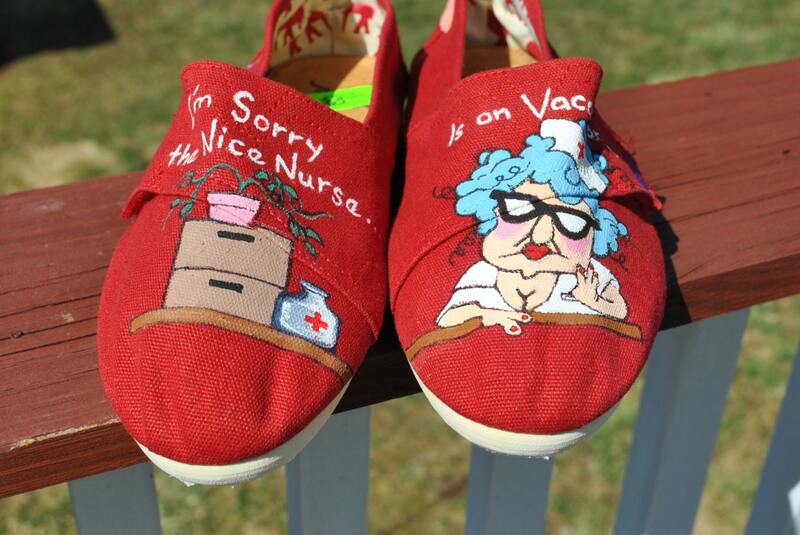 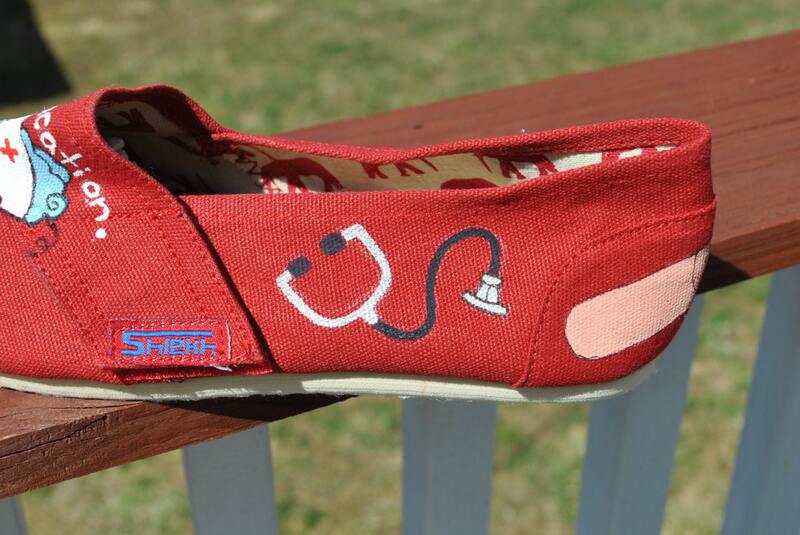 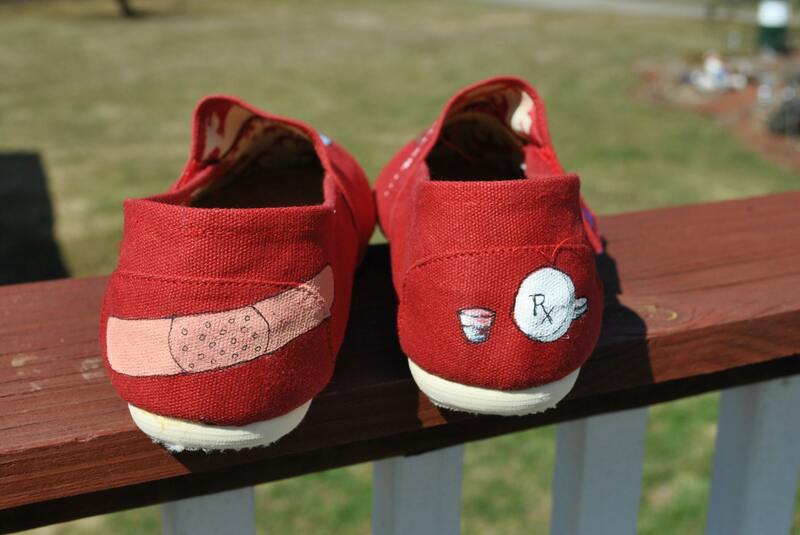 People will stop you in your tracks with these sneakers on, These Red little hand painted sneakers are all about Nurses these are funny, "I'm Sorry the Nice Nurse is on Vacation." 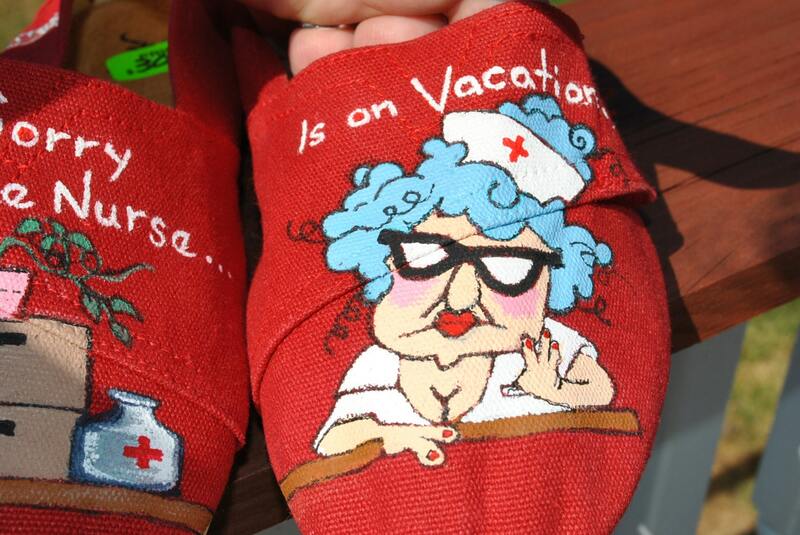 Note: These shoes say they are size 9, but I tried them on and they are a size 8. 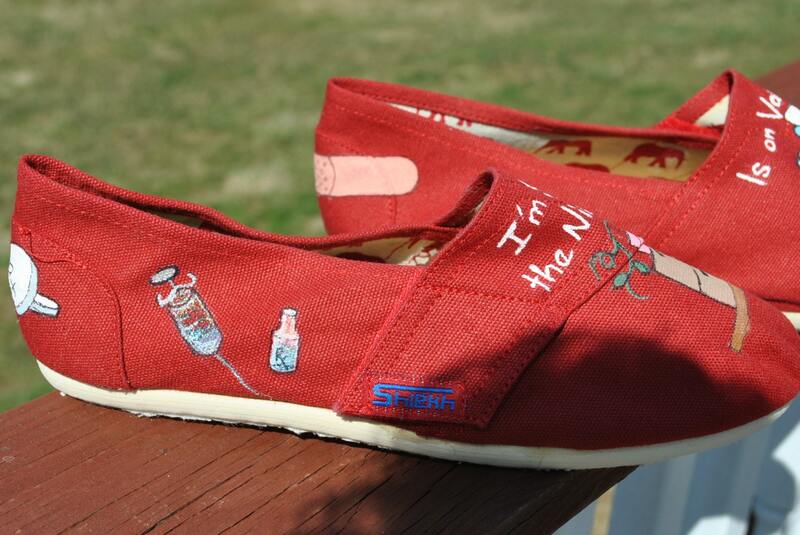 I am a size 8 and they are not a 9 that's for sure.